EDIT : October 2014 : it seems that AerTV now only offers 10 minutes of free TV a day, otherwise to watch it online you need to have a subscription with them for €5.99 / month. This now seems rather unusable unless you pay :(. The quality isn’t as good as the RTÉ Player, but it’s not too bad and it’s much better than listening to the match on the radio. This works for me on my holidays here in Marbella, here’s to GAA and sangria ! I thought people would like to know it is possible to watch the games. Sign up to OverPlay’s OpenDNS system, it costs $4.95 (€3.70) for 1 month’s access (with a 7 day money back guarantee). 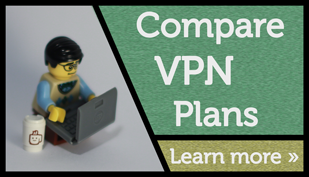 You only need the OpenDNS and not the full VPN. Configure your DNS server to Overplay’s rather than your ISPs. 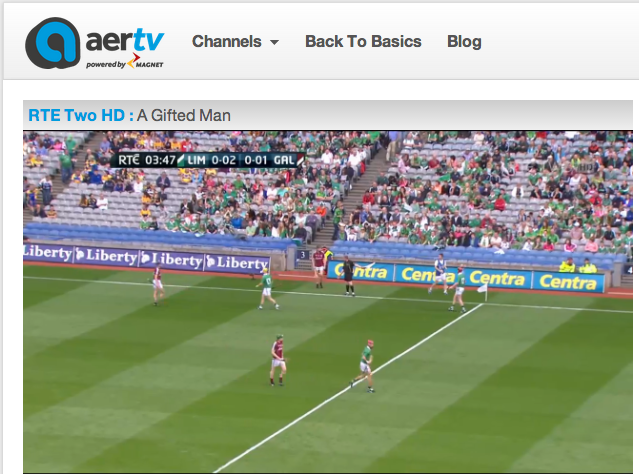 Visit AerTV.ie and enjoy the game on RTE2 ! Thanks Mike ! Hopefully it will work for the Limerick versus Clare game later today at Croke Park. 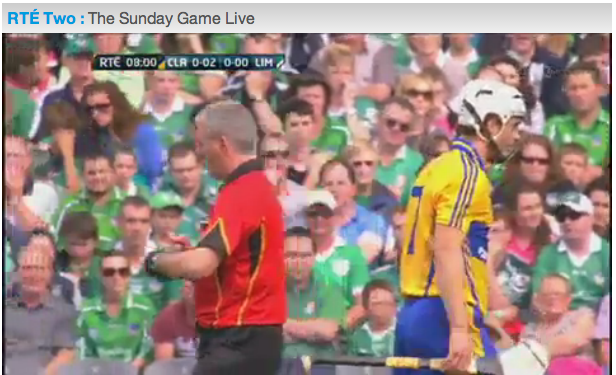 This game is the 2nd of the All Ireland hurling semi-finals. The winner will play Cork in the final. Last weekend Cork steamed through and beat Dublin after Dublin had a player sent off for a bad tackle. update : this is working for the Clare vs. Limerick game , 18/8/2013. Half time score : Clare 1-10 to 0-06 of Limerick and still working. Full-time Clare 1-22 Limerick 0-18. What a great game of hurling. The All Ireland senior hurling final between Cork & Clare will take on Sunday September 8. 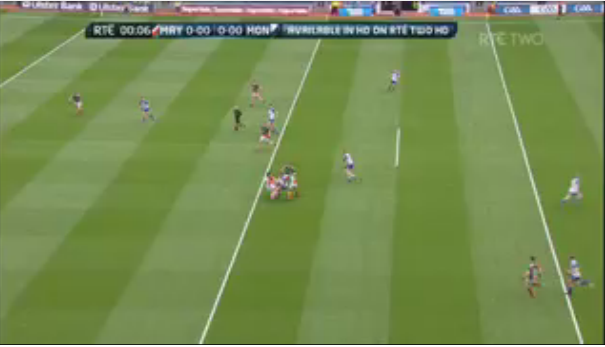 Update : 25/8/2013 : This is currently working for the Mayo vs. Monaghan minor game that’s just started. 14 Responses to "Live GAA on AerTV"
Great find. Working for me in San Francisco this morning !! It’s working for me in South Africa, thanks Paul ! AerTV even shows the ads, I hate it when RTE just shows a blank screen during the breaks. Thanks for this ! This was worth staying up late to watch in Sydney. Thanks for the tip. I had used some the RTE player last year for the Championship and it worked well, and I was surprised that they had blocked it. I guess it’s a cat and mouse game for all parties involved. Anyway with a little googling I found this, and then watched the Mayo squeeze past Tyrone. Can’t wait to see Dublin vs Kerry on Sunday ! Have you logged into Overplay.net on the iPad too ? Log in, go to MyAccount > SmartDNS and see if the icon goes green. That will tell you that that’s enabled. AerTV & SmartDNS are working for me in the US at the moment. Thanks Paul, I have checked with overplay support, and I seem to be ok there. But still aertv is only providing sound and not the vision. It does show vision initially for a few seconds. Wondering if it something specific to my IPad? Great to hear you got a step further. You might have to use a computer. It may be that the video that is sent by AerTV is not supported on the iPad. Just tried this, it works and looks amazing so far! Streaming RTE in HD. Just to say at 1pm today I was trying to get RTE. Live in NI and was unable to get match thisvyear after digital switchover. There was a 6hrs free trial with ibvpn . So without any credit card or money exchanged I had RTE HD. Jjust putting this up as I’m sure many will be doing similar for the football. 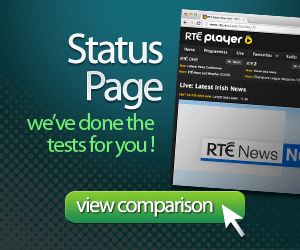 The streaming on the RTE site is for Ireland only. If anyone outside of Ireland wants to watch it. Download Google Chrome and add the Hola.org add on for free VPN. Up Clare ! I’ve also being using Hola, but it seems to be a bit flaky. It’s better than nothing, but sometimes it stops, so it’s not so good when watching live games.